From cheering on your favourite sports team to indulging in the latest romantic film – you’ll feel right at the centre of the action with this TV. 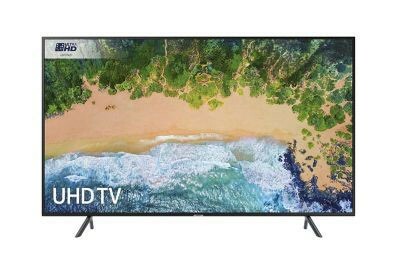 Samsung has included the latest technology to give you amazing 4K quality: Ultra HD Certified; HDR 10+; Auto Motion Plus. This Samsung 4K TV has something to please everyone – as it’s Wi-Fi enabled, you’ll be able to access an unlimited list of entertainment. Never miss your favourite TV shows with the featured catch-up apps including: BBC iPlayer, 4oD, ITV Player, My5.